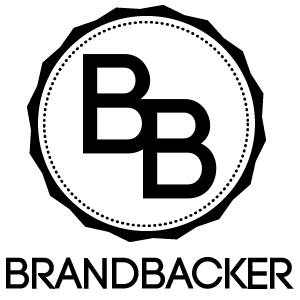 “Who Inspires Me” (Fashion Wise) will be a new series that I will try to do once every 2-3 weeks, or even once a month. 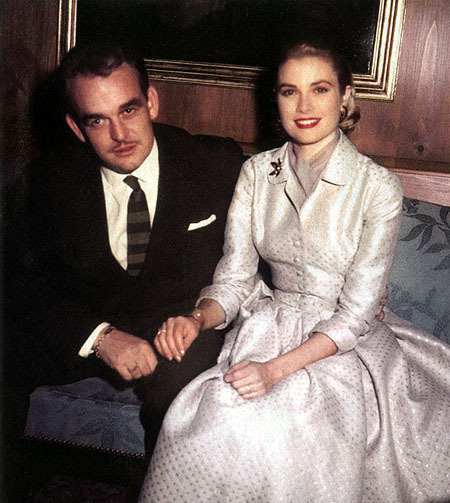 =) My first post will be on Grace Kelly. Grace Kelly, a lady whose style matches her name - Graceful. 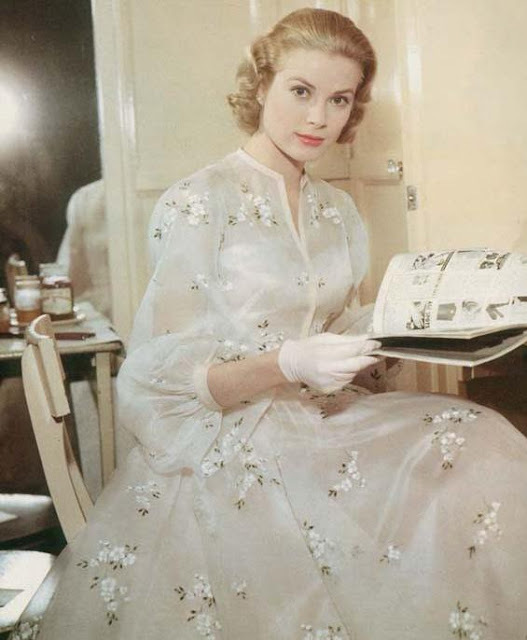 Though I have never seen a film with Grace Kelly I love her style. This look can easily be worn today. 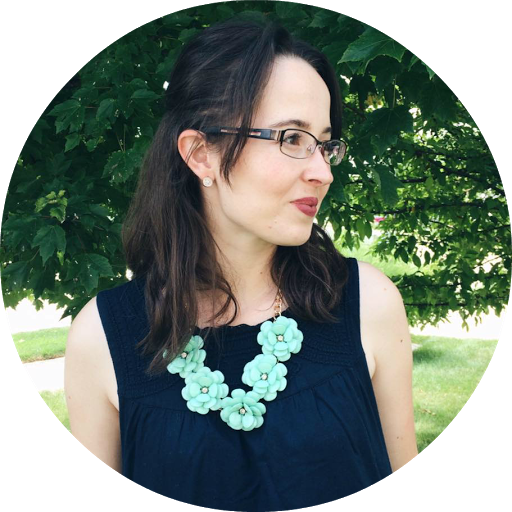 It is only a simple button down shirt, cardigan, skirt, and belt; very simple, yet stylish. One of my favorite causal looks. Jeans (rolled up slightly), button down shirt, and penny loafers. I LOVE this dress from High Society! 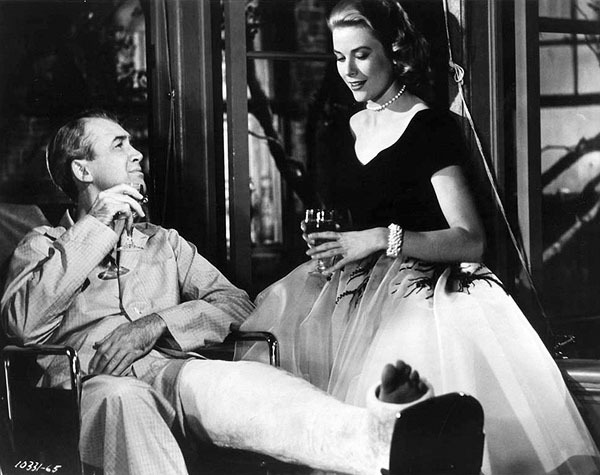 This lovely dress is from Rear Window. A lovely party dress! Very modest too. 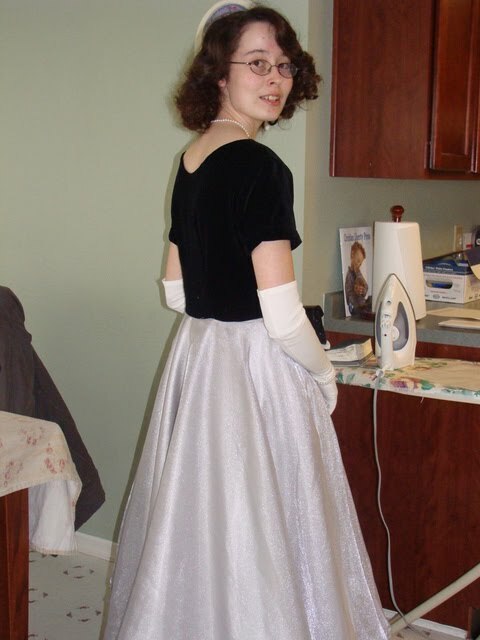 So far I have recreated only one of her dresses. And it is her fancy dress seen in Rear Window (1954) with Jimmy Stewart. I know you all are going to ask, 'what pattern did you use?' Yes? Well, I drafted it. Meaning I made my own pattern. =) And this was my first try, back in 2008. 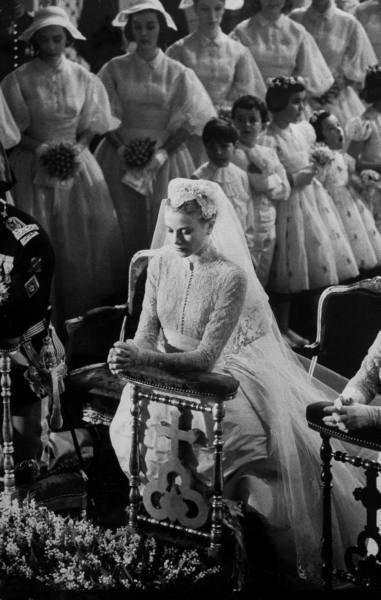 What is your favorite Grace Kelly outfit or movie? 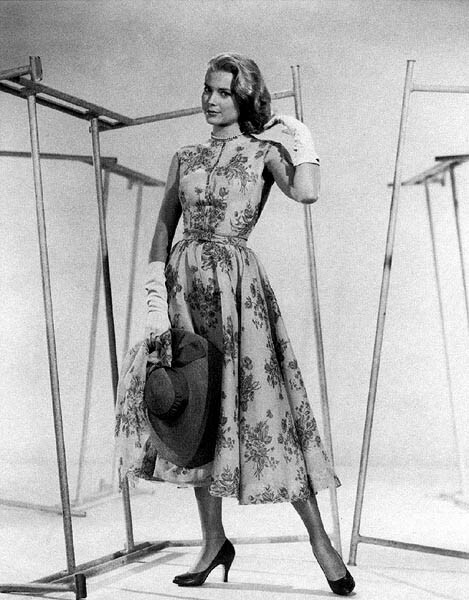 this one is the dress she wore in the driving scene of "To Catch a Thief"
Great post! 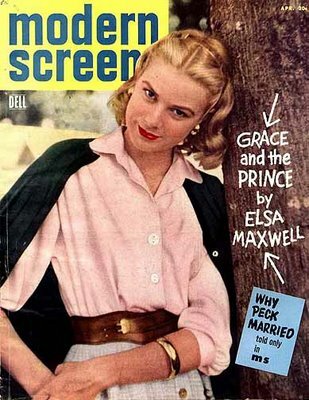 I love Grace Kelly, too. I've seen two of her movies - 'To Catch a Theif' and 'The Swan'. Both have lovely costumes. Great recreation of her dress! It's beautiful! so classy. 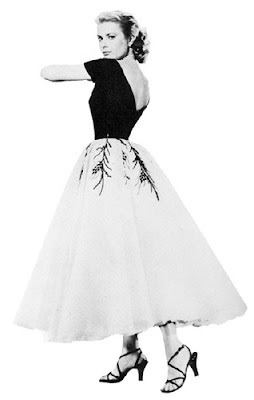 But without such a low neckline in front. You did a great job on your dress!! 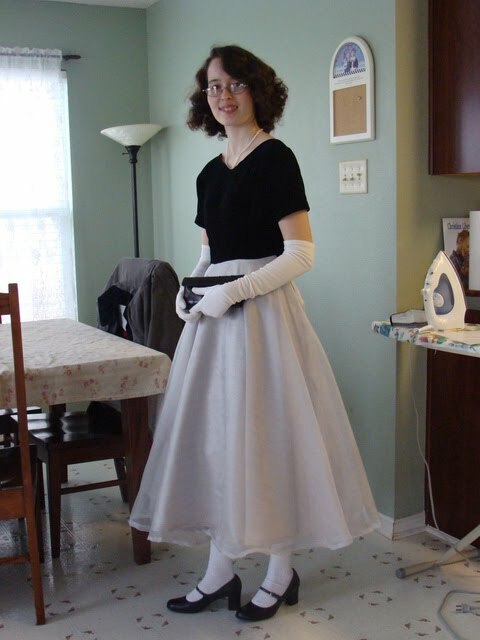 Your dress is so cute!! I love it! 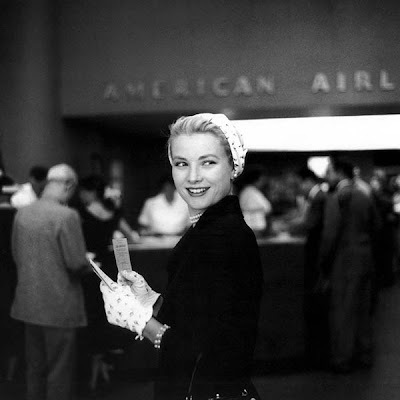 Grace Kelly was so very chic in her day! I like her class and style. Here's some other photos I found of Grace and her outfits that I really liked. Oh yes! I was lucky and I won the V&A book on her clothes in a Sense & Sensibility giveaway. I love her style. It's sensible. :-) My favourite part of the book is, I think, an article where she explained what clothes to pack when travelling. A great tutorial on classy travelling! My favourite of her outfits would be hard to pick! Perhaps her other wedding dress/suit. I've only seen High Noon, so I cannot say much on her films.